It’s not always easy to continue to take those leaps once you’ve ended up on the floor after one. Read Jo’s post from whence quotation and video come. This entry was posted in Fodder for Thought, Jo Bryant. Bookmark the permalink. Thanks for pointing me in the direction of Jo’s post. It’s great. I felt every word. Hi, thanks for dropping by and you are most welcome. 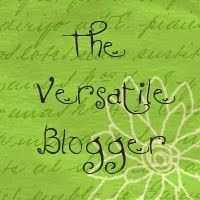 Jo’s blog is one of my favorites. I’m glad I helped you find it!